I love it whenever I get to be home alone and cook in the peace and quiet. Okay – maybe it isn’t so quiet because I’m most likely going to be playing some corny pop music and singing along to it at the top of my lungs. BUT THE POINT IS, I need my alone time and space. It’s so therapeutic to be able to just cut and chop things without having people walking in and out of the kitchen, and to be able to snap photos without people constantly pestering me about what I’m doing. Is this my subtle way of saying that certain people have overstayed their welcome in my house? But I mean, isn’t it better that I slightly vent on one of my posts rather than to eventually let my frustration build up & explode into an angry mess of shouting and cursing? That was a rhetorical question by the way. -cough- my vague little rant aside, can we just talk about how freaking GLAD I am that I’m done one of my term projects?! Cue the confetti and wine because I am exhausted! You can read about my term project here – but basically, I had to be a thrifty food shopper for the last few weeks of my life and I got a chance to interview some awesome people about food waste and how we can all reduce the amount of waste in our lives. It was extremely fun to put together because it’s what I’m passionate about, but it was so much work! My project actually leads me to this post! This recipe was the result of me trying to incorporate my project into a visually interesting blog post that reflects what I do on a daily basis – which is cooking and blogging! Now would you actually believe me if I told you that this whole dish cost me only $2 to put together? Yes? No? Well it doesn’t matter because it really did only cost me $2! TWO. FREAKING. DOLLARS. I’m just going to go ahead and smugly stare at you people who pay $8 at a salad bar for a handful of spinach and some red bell peppers that aren’t even filleted. What you can’t see is that all this produce was picked out from piles of extremely cheap produce from Sunrise Markets. I’m told that they receive a lot of the produce that other supermarkets and restaurants don’t end up using, and it allows them to sell it at a much cheaper price because oftentimes, the produce is right at/just past their peak. However, it does require quite a bit of skill and patience to find the “least” imperfect items sometimes. For instance, I had an orange EXPLODE on me while squeezing them to check whether they were firm and yes, I did dramatically shriek. But that’s just typical Jason behaviour. But if a little drama is the cost at which I can get a meal that costs me next to nothing monetarily speaking, I don’t mind at all! So yeah, some of the oranges and grapefruits are bruised here and there, and there may have been a chunk of my fennel that was missing, but who cares? I mean, who’s going to notice after I’ve cut everything up right? I don’t really know why, but I’ve hated all licorice-esque things except for fake licorice (yay Twizzlers and Nibs) my entire life until just recently. I’ve been eating endless amounts of fennel bulbs, using fennel seeds, and drinking copious amounts of DAVIDsTEA’s Licorice Twist and Bravissimo (check them out, they’re awesome teas). 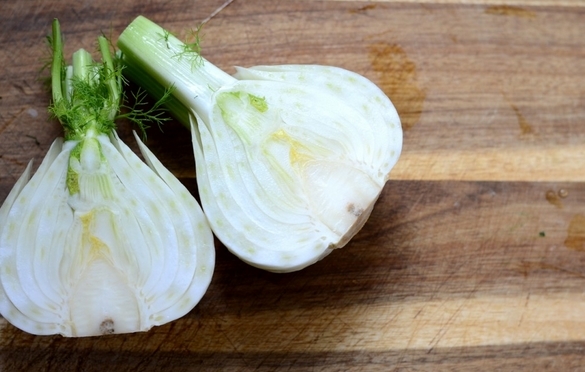 Fennel has such depth even by itself, so maybe that’s why I’ve become such a fan? Anyways, this recipe is the perfect way to start a meal in the fall. 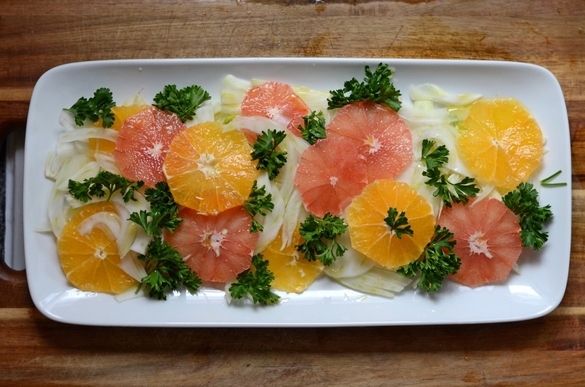 Citrusy, light, zesty, and ridiculously full of antioxidants and vitamins, especially with the added parsley! Oh, and if you’re wondering just how wonderful parsley can be for you, check out this YouTube video that my amazing dietitian Desiree made just to show off how amazing parsley is for your health! 2. 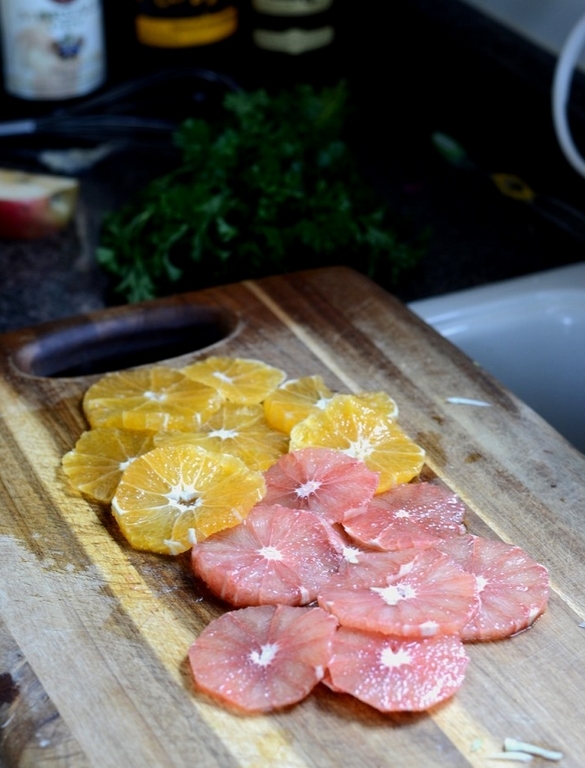 Cut the top and bottom off your grapefruit and orange, so you can slice off the rinds and segment them into rounds. YouTube or Google a “how to” if you’re confused on how to do this. 3. Pick off your parsley leaves from the stalks – you can use the stalks for a broth or something later. 4. 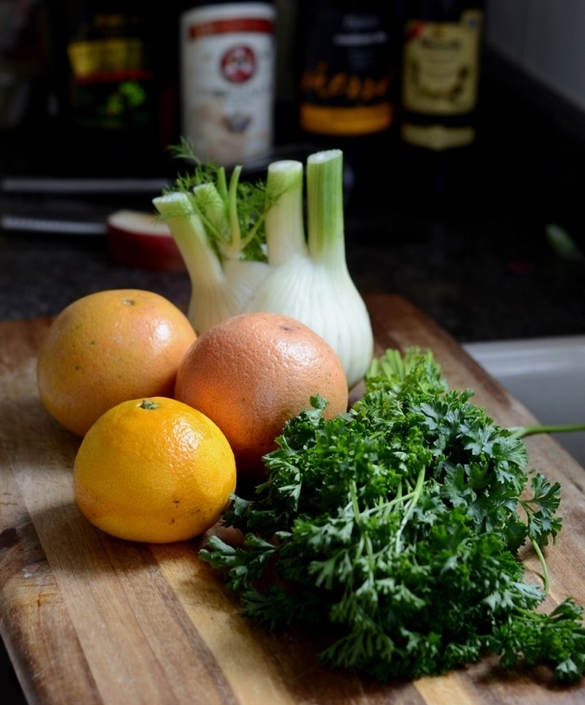 Cut your fennel in half lengthways, cut out the core, and thinly slice. 5. Put together all the ingredients however it may visually please you. 6. Dress with the olive oil, vinegar, salt & pepper and top with some of the zest. 7. Toss at the table and serve! Picture perfect, ridiculously healthy, and requires minimal effort. My kind of dish! 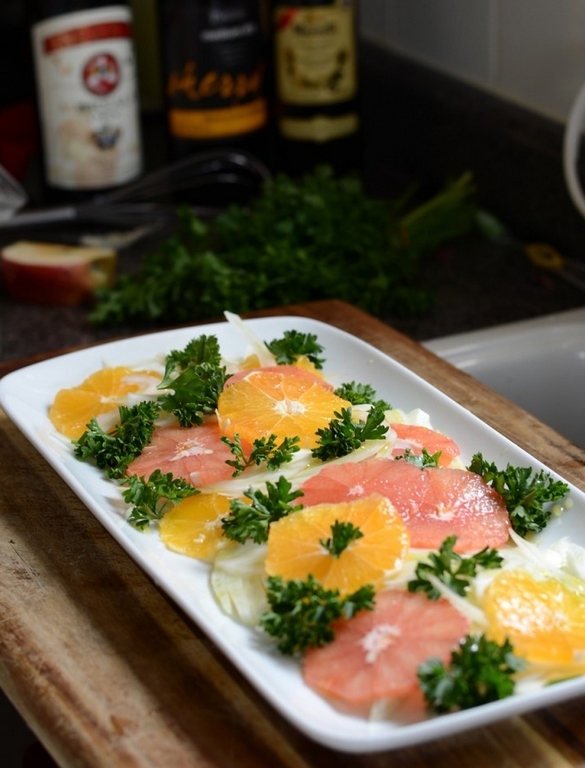 So make sure you give it a try, share the recipe, and let me know how you like it! Bruised Apple Galettes & Butter, Butter, Butter!